UPDATED, March 31, 2:30 p.m.: One Sotheby’s International Realty honored Coral Gables-based Jo-Ann Forster as its top-producing agent in 2018. Michael Martinez ranked second among the brokerage firm’s top-producing agents last year, followed by Dennis Carvajal (third), Jorge Uribe (fourth) and Susan Ridley (fifth). 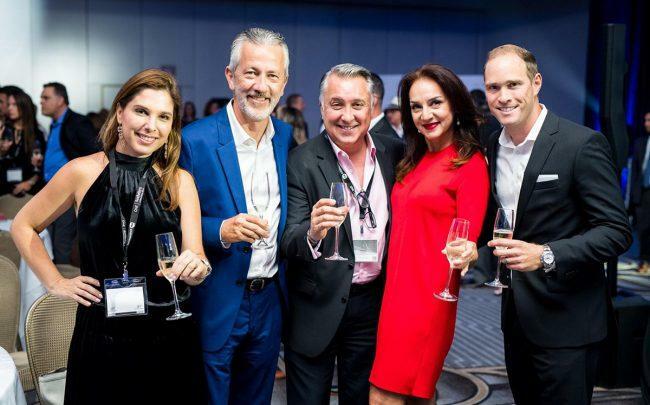 The rest of One Sotheby’s top 10 agents in 2018 were Rafael Arias (sixth), Mauricio Bara (seventh), Sandra Tagliamonte (eighth), Lana Bell (ninth) and Saddy Delgado (tenth). Mirce Curkoski and Albert Justo with The Waterfront Team ranked as One Sotheby’s top-producing team in 2018 with more than $100 million of sales volume. Among other deals, The Waterfront Team closed a $16.75 million sale of 6840 Allison Road and a $6.4 million sale of 1833 West 24 Street on Sunset Island III in Miami Beach. The Alex & Joe Team ranked second, followed by Denise Long & Lynda Smith (third), Allan Kleer & Fabian Garcia Diaz (fourth), and DND Associates (fifth). The rest of the top 10 teams in 2018 included Viola Kruszelnicki & Adam Kruszelnicki (sixth), V. Fisher & J. Aluma Team (seventh), The Coto Group (eighth), The Jim & Joe Group (ninth) and The Lewis Estate Team (tenth). One Sotheby’s Susan Gale Group was the top producer of commercial sales last year, followed by Manny Chamizo III. The brokerage firm’s top producer in the development division last year was Anna Sherrill, and its top-producing new recruit was the I Adore Miami Team. An earlier version of this story stated incorrect sales volume for One Sotheby’s in 2018 based on information from a press release.